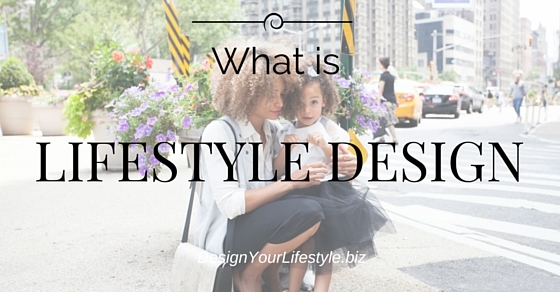 What does lifestyle design mean? lifestyles in the present using the currency of the New Rich: time and mobility. I loved Tim’s book and that he popularized this idea. Richard N. Bolles wrote a neat little book full of cartoons that I loved back in the 80’s called the 3 Boxes of Life. Those 3 boxes were education, work, retirement. He discussed how to break the cultural norms of society and have a blend of learning, working and playing. Mr. Bolles questions if there is any meaning in compartmentalizing our lives into these boxes. He taught me at a young age the need for balance and meaning. (You can find it on Amazon for 1 cent) at the time of this writing. Many will say that lifestyle design is the same as passive income. While passive income helps one design their life it’s but one facet of the diamond. Designing your lifestyle is for the moms and dads who want to be with their kids more and work from home. Designing your lifestyle is for the folks who want to travel and share their adventures with the world plus pay for their travels. Designing your lifestyle is for artists of all ages who want sell their artwork and/or teach how they create it. Designing your lifestyle is for teachers who want to be free of the day to day politics but still want to teach. Designing your lifestyle is for authors who know they have a book within them. Perhaps your lifestyle diamond is still rough. Over the last few years, I have been designing my life. Cutting away the parts that made me unhappy and polishing the parts of my life which make me happy. You can do the same. In this website, we’ll begin adding more play time in with work time while continuing to learn new things that can help you with work and play.